This project treats the street-view platform as an ecosystem of surfaces, coats, algorithms and inaccuracies offers a platform in which its graphical holes emerge as volumes and opportunistic interventions. Every construct is observed through the camera point of view and misuses the limits of it. The dialogue between the camera, its target and its constrains offers a new space of approximation in the gap between the street-view message and its definition(the physical building). 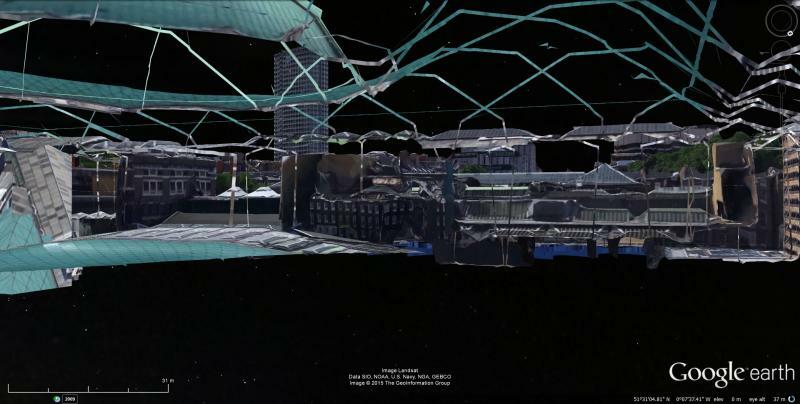 The final product of the study is a collection of objects, elements and protocols which bridge the discarded misrepresentations to physical constrains of the digital map and represents them in three exaggerated types by which the extreme tension between street-view graphical output and volume becomes more apparent.